It won’t shock anyone to suggest that The Grammys have long been disconnected from rock music. In the ‘90s, rock nominees included iconic, heavily influential acts like PJ Harvey, Hole, Ryan Adams, Garbage, R.E.M. (and yes, old faithfuls like Tom Petty and the Rolling Stones). But somewhere around the mid ‘00s, popular rock trends shifted, and said nominees shape-shifted into brooding mall goths with overflowing bank accounts: Nickelback, Evanescence, Hoobastank. 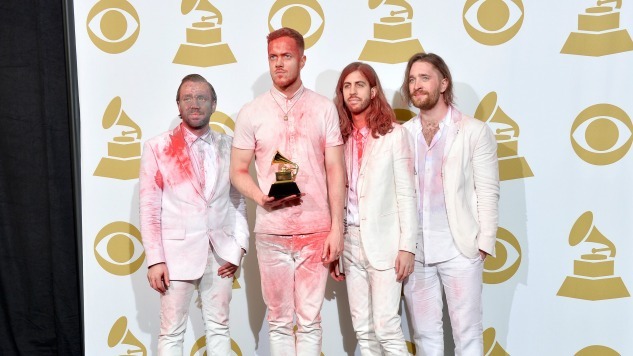 Though nu-metal has fortunately fallen out of favor on the radio, today’s Grammy rock nominees tend to be just as bloodless, trend-driven, overwhelmingly white and out of touch as their decade-old counterparts. Is it possible that there were better rock albums this year than Cage the Elephant’s Tell Me I’m Pretty? Definitely. But albums that top critics’ year-end lists—like, say, Car Seat Headrest’s Teens of Denial—get relegated to “indie” status, and therefore less Grammy-relevant than an act with guitars who is capable of filling an arena. The Grammys also have an oddly mixed approach when deciding what qualifies as “rock” at all—and what simply qualifies as its gentler, well, “alternative.” For instance: You’re telling me that Weezer’s 2016 self-titled record belongs under the “rock” category, and Iggy Pop’s Post Pop Depression gets slotted under alternative? In what world…? Many of these disconnects are indicative of a larger racial and trend-driven bias when it comes to The Grammys and the overall popular-music industry. Shifting these long-worn-in patterns will no doubt take time, and engaging in active conversation can help us take the first step toward creating a fairer representation of both rock and race. For now, I’ll just leave you with this: The Grammys would do well to remember where rock and pop music originated: from the black community.